"Economy does not lie in sparing money, but in spending it wisely." Sometimes spending money wisely means picking a product off the beaten path. If standard term, whole, or universal policies don’t quite meet your needs, we’ve got more specific policy types that might fit the bill. 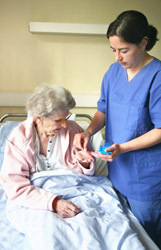 The policies here are designed to cover people with specific lifestyle needs or health issues. We want you to know that you can get coverage, no matter your age or health. These solutions will cost you more, but they’ll give you the peace of mind all life insurance provides. If you think you can’t afford coverage, give us a try. We specialize in helping people other agents couldn’t insure. Give us your tired, your poor, your hard-to-insure. We love a challenge. We also, apparently, love to write things that rhyme. If you’re wondering exactly how much more you’ll pay than a non-smoker, the answer is that it varies. Jeff Rose of Good Financial Cents estimates smokers pay almost four times more than people who don’t smoke. Rose describes smoking as not only killing your lungs, but killing you with insurance premiums. That is not killing you softly. If quitting isn’t in your future, we can still work on getting you the most affordable life insurance possible. Because your case needs more individual attention and finesse (yeah, we said it) than someone in perfect health, give us a call at 1-800-823-4852. 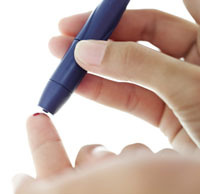 We help diabetics get insured! Life insurance companies are most concerned with how long you’ve had the disease and how well you’re managing it. If you’re managing your diabetes, keep your weight under control, and experience no other health issues, there’s a good chance you’ll get a “standard” rating from an insurer. Give us a call and let us see what we can do for you. Our insurance advisors, available at 1-800-823-4852, are ready and waiting to help get you an affordable policy. It's never too late to get life insurance! Just because you didn’t buy a policy when you were 30 and invincible doesn’t mean you can’t get one now that you’re 60 and don’t remember where you put your car keys. If you’re in good health, let’s talk about a simple term policy or a whole life policy. If you’re not in good health, we can talk about guaranteed issue life insurance (you cannot be turned down for coverage). The retirement landscape for seniors is changing. Adult children are staying at home longer, college is costing more, and 401(k)s and pensions have been hard hit during the recession. A generation ago, it was easier to save cash and have liquid assets to cover any unforeseen life expenses. That’s rarely the case these days. Life insurance provides for your family in the event of your death, expected or not. It’s also a great way to pass on money to your kids, tax-free. To get started, call us at 1-800-823-4852. Speed demons *really* need life insurance. Insurance companies define “high-risk” in two different ways: risky jobs or hobbies, and risky health conditions. 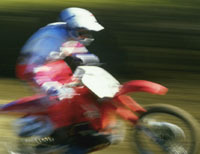 Things like flying, skydiving, rock climbing, car racing, and scuba diving are seen as risky activities by your insurer. If your job requires you to do these things or you do them just for fun, you can expect to pay a little more for a life insurance policy. If you compete in any sporting event sponsored by Red Bull, you’re probably in this category, too. Some people in public service jobs, such as police and firefighters, expect their jobs to be labeled high-risk. The good news is that we’ve saved public employees as much as $1,000 on their existing policies by finding insurers who don’t consider those jobs high-risk. If you give us a call, we might be able to do the same for you. Health is the other category that might land you in the high-risk group. Some common health conditions that insurers shy away from include high cholesterol (or taking cholesterol medication), high blood pressure, diabetes, cancer, COPD, depression, and bipolar disorder. This doesn’t mean you won’t be insured—it means you need to find an agency that’s worked with people who share your condition. Not every agent or agency has the connections and the know-how to find insurers who’ve done research on specific health conditions. We do. Call us at 1-800-823-4852 and let’s see how much coverage we can get for you. Protect your small business with buy-sell life insurance. If you co-own a small business with a partner, you need to think about buy-sell life insurance. What would happen to your business if you or your partner died? Does your family have enough cash to keep the business running? Could they buy out your partner if he or she wanted to call it quits? How long would it take to find a replacement for you just to keep your business’s doors open? According to the book Small Business Management by Michael Ames (quoted by the Small Business Administration), some of the top reasons for small business failures are insufficient capital, over-investment in fixed assets, poor credit management, and personal use of business funds. What do all these things have in common? Money. What does your business need to avoid becoming one of these statistics? Money. A buy-sell life insurance policy is, essentially, a contract where you and your business partner take out life insurance on each other. If either of you dies, the life insurance money is paid to the survivor, tax-free. The survivor can then buy the business from the dead owner’s heirs at a price agreed upon in the life insurance contract. You can also write the policy so that the business itself rather than the surviving owner gets the life insurance money. No matter how you arrange it, this policy provides money to avoid the harrowing feuds, forced sales, or hostile takeovers that can happen when one partner dies unexpectedly. Key man life insurance insures a vital employee. Protect your business against the slings and arrows of outrageous fortune with key man life insurance. With this type of policy, the business takes out a life insurance policy on the key person or people. 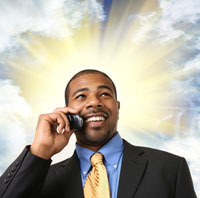 If a key person died or became unable to work, the business would collect the death benefit. That money could be used to search for a replacement, keep the doors open during a restructuring, or buy that key employee’s ownership interest in the company. Call us at 1-800-823-4852 to create a key man policy for your company. Keep in mind that your employees’ superhero alter-egos cannot be insured without ironclad proof of their secret identities. Bad health can't keep you from getting insured. You cannot be turned down for this type of policy. You don’t have to answer any questions about your health or take a medical exam. That’s the good news. The bad news is that the insurance companies charge a hefty premium—they expect you to have a terminal illness or other condition that means it’s extremely likely they’re going to have to pay out on your behalf. What kind of hefty premium are we talking about here? 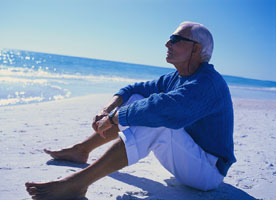 WealthPilgrim.com blogger Neal Frankle estimates 4-5 times as someone applying for a traditional life insurance policy. Think of this type of policy as a last resort. If you haven’t tried to get a standard term life policy, let us help you with that first. It’s possible we could find you something less expensive. There is one more caveat to discuss with guaranteed issue policies. There is almost always a two-year exclusion, which means if you pass away within the first two years, your beneficiaries only get the sum of the payments you’ve made so far. You have to survive for two years after buying the policy for your beneficiaries to get the full death benefit. In this case, it’s true what they say—timing is everything. If your time to buy is now, give us a call at 1-800-823-4852. 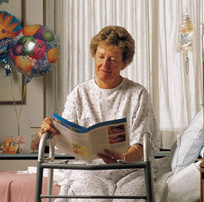 Get insured even with poor health: No medical exam life insurance is the solution. You can get graded benefit life insurance, which involves a shorter application process with no medical exam, but there is likely to be an exclusion period for the first couple years of your policy. These policies may also have minimum and maximum death benefit amounts (often topping out at $25,000 or $50,000). The policy is “graded” because if you pass away during the exclusion period of the first few years, your beneficiaries only get the sum of your monthly payments so far plus a small amount of interest. It works best for people with terminal illnesses who have at least two years left to live, but cannot qualify for standard life insurance. You can also get simplified issue life insurance, which requires you to answer health questions on your application, but there is no medical exam or blood test. There is also no exclusion period—you’re covered in full from day one. The application process can be as quick as 24-48 hours, and your monthly payment amount will not change, no matter how and when your health worsens. This type of policy comes in term and whole variations. Term covers you for a particular term (5, 10, 15 years, for example) and usually offers higher face values (up to about $200,000). Whole policies cover you for your whole life and usually offer lower face values (up to about $50,000). If either of these sound right for you, give us a call at 1-800-823-4852and let us get you started. WealthPilgrim.com: Who Should Buy Guaranteed Issue Life Insurance?